This review examines the supplement Vein Supreme. 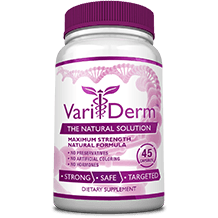 The maker of this supplement claims that this creation can support healthy vein function and vascular integrity. Standardized prickly ash bark extract (250 mg) – This substance encourages normal venous function and integrity. Horse chestnut extract (80 mg) – This stimulates circulation of the blood, for that reason supporting healthy veins. The assurance is to lessen pain, swelling, itching, and water retention in the legs. Butcher’s broom extract (50 mg) ─ This element supports healthy veins by encouraging circulation of blood, also decreasing heaviness in the legs, as well as puffiness, cramps, and leg pain. Grape seed extract (20 mg) – This ingredient is bursting with antioxidants, which supports reduce swelling and discomfort in the veins. Rutin Powder (10 mg) – The belief is that this ingredient is capable to fortify blood vessels, therefore being of assistance to veins. Additional ingredients are rice flour, cellulose powder, cellulose (capsule), maltodextrin, magnesium stearate (vegetable source), and silica. Rice flour is a bulking agent and offers no value. However, the ingredients are vegan and vegetarian friendly. The manufacturer recommends that 2 capsules be taken per day. Conversely, no data is given on whether the capsules should be taken with a meal or with water or without either. This supplement is not for children, and pregnant, or nursing mothers. Those on medication or with a medical condition should check with their doctor before taking these capsules. In addition, people with nut sensitivities must shun this supplement as it contains horse chestnut, although this ingredient seldom produces allergic reactions. 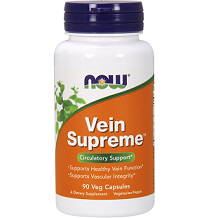 A bottle of 90 capsules of Vein Supreme is available online on the manufacturer’s website at $29.99. No discounts are offered on bulk sales of this product. Regardless of our research, we were not capable to find a manufacturer’s guarantee. Nor could we find a money-back policy. This could imply ineptness of the dietary supplement if the enterprise does not back it with a 100% satisfaction guarantee. Our research did undercover some issues with the reviews on Amazon. This with only 75.0% of the reviews being truthful, and 25% of the reviews being of low quality and indicating unreliable qualities, as well as displaying some level of deception involved. This questions the reliably of these reviews, this as reviews are normally a good benchmark to gauge whether a product is good to be used based on other people experiences on the product. This dietary supplement is vegan and vegetarian friendly, and 100% natural. It purports to be effective. Nevertheless, there is no manufacturer’s guarantee on this dietary supplement. What’s more, even though the capsules are vegan and vegetarian friendly, it is conceivable not right for people with nut allergies, as it contains tree nuts in the formula. Additionally, the information about when and how to take the capsules is vague. No optimal time is suggested at which to take the capsules for best results. With so many other similar vein-support supplements on the market, it may be better to pick one of a better value, offering a concrete guarantee.